Plastic pollution in our oceans feels like such an enormous problem, we often find ourselves wondering: "How can I possibly make a difference?" The micro-plastic conversation, and how it relates to ocean health, is a daunting topic. Where do you begin? Well, we decided to begin with the most unassuming yet, most lethal object: the plastic straw. In America alone we use 500 million of them every single day and many end up in our waterways and oceans. Through a combination of experiential installations, a PSA, a few celebrity activists, social media, collateral, a website, and a few hundred octopus slaps we created a campaign to remove single-use plastic straws from thoughtless daily use. We even got one major U.S. city to legislate a ban on plastics. First, we made a splash with a fun and provocative activation at SXSW's Mashable House and the Rachel Ray Feedback music festival. 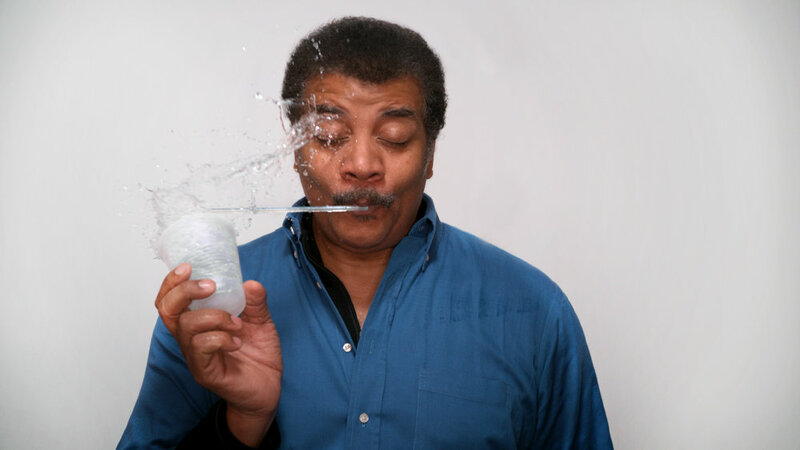 Then, we turned celebrities into ocean activists where they admitted to sucking a lot and challenged other celebs to #StopSucking. Finally, we got an entire city involved. 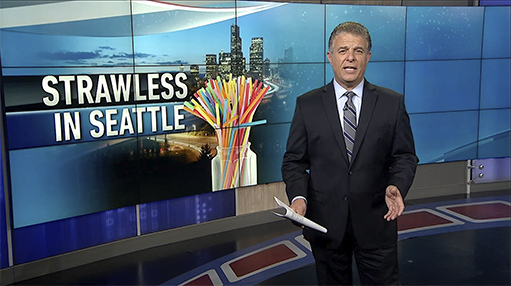 From sports stadiums to more than 200 restaurants, the city of Seattle rallied to stop using plastic straws. At SXSW, we created a high-speed camera booth experience where willing participants got the plastic straw smacked out of their mouth by a giant octopus tentacle. In exchange, each sucker got their own slow-mo video to share on their social channels with their pledge to #StopSucking on plastic straws—for good. Good-humored celebs and conference goers alike joined in the fun. After the fun at SXSW, it was time to start a movement. Social good campaigns tend to only talk to their base, so we needed to break out of the echo-chamber of the philanthropic audience to get everyone involved. We needed a provocative campaign. 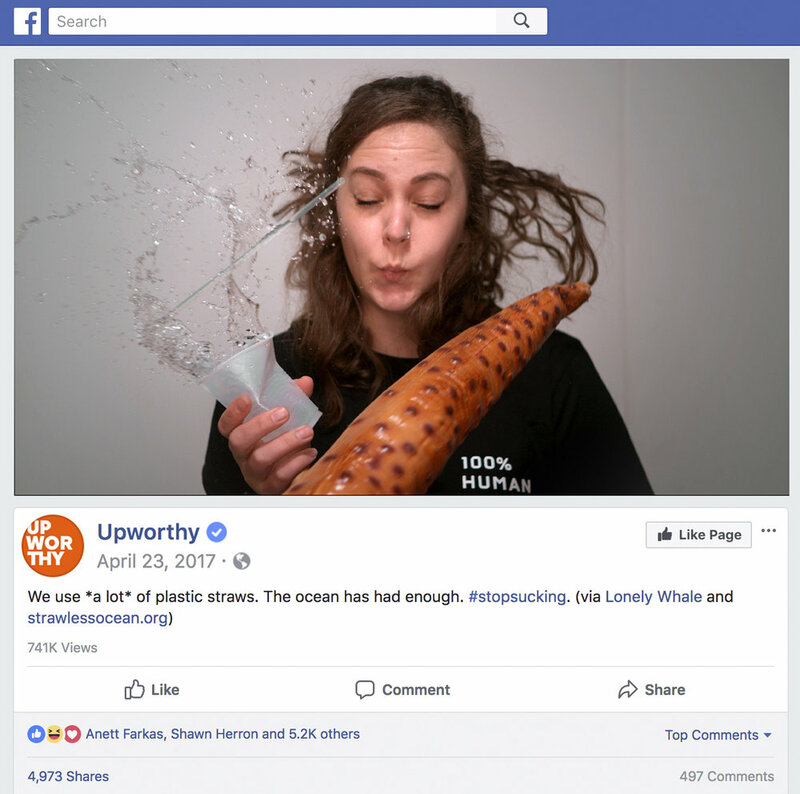 Alas, Stop Sucking was created to give celebrities, influencers and the general social audience something to have fun with—while at the same time helping them advocate for marine life and ocean health. It also gave our celebrity influencers a chance to use some levity in this PSA, and then prompt direct challenges online for people to #StopSucking. One punch turned ordinary people into ocean-health activists. Around the time Russell Wilson and Tom Douglas got involved, we knew we were making strides. Venues across the city started to go strawless including the Space Needle, Mariners Stadium, Seahawks Stadium, and more than 200 restaurants. Pretty soon, Seattle became the first major U.S. city to legislate a ban on single-use plastic straws.